Hello there crafty people! Today is day 2 of the Tropically Your Stamp Of Approval Blog Hop. If you aren't familiar with how the Catherine Pooler Designs Stamp Of Approval Collection works, lets get you some details! The SOA is an exclusive collection of stamps and dies that are only available together and as a collection. The items included in the collection will not be available for individual purchase in the online shop for many many months. One SOA collection is released every three months or so and once they're sold out they're gone. So you don't want to miss it! You must be on the wait list to get the link emailed to you! Sign up here! The theme of this SOA collection is called "Tropically Yours". How perfect for summer! When the creative team received our collections, our jaws hit the floor. Each and every stamp and die included in this collection is incredibly illustrated and designed. Everything is so on trend and (per usual) is my favorite. As soon as I opened the box, these leaves and flamingos just jumped out at me. And that NEW ink color!? I DIE. I love the design of it all and they shout tropical to me. I have been loving the large border on cards lately and I think it's a great way to mellow out a busy card or a scene card like the flamingo one here. Check out the video below for more tips like this! I love when sets come with those little individual shape embellishment stamps. They're always so fun to make into DIY patterns. I decided to veer off the tropical theme for this card. Here I again used the "Your Vibe Attracts Your Tribe" sentiment which I just looove, and used the little triangles and dot stamps to create a fun 90's vibe for the design of this card. Saved By The Bell, anyone? Finally for today, I've used these Cabana Tiles Dies and I am head over heels for these! They are so incredibly versatile and on trend at the moment. I decided to use mine with some metallic card stock and create a full card front pattern. I love how simple yet busy it is! I hope that you have enjoyed my portion of todays hop! Please don't forget to comment for your chance to win this SOA! Keep hopping along for more inspiration and chances to win! 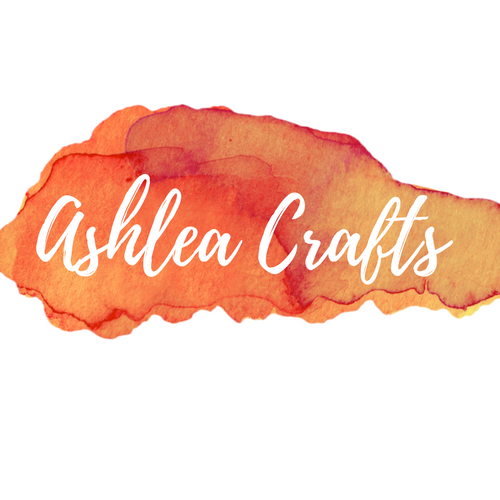 Ashlea Cornell - That's Me! Fun cards! I particularly love the gold hexagons card. the cabana tiles card is one of my favorites. 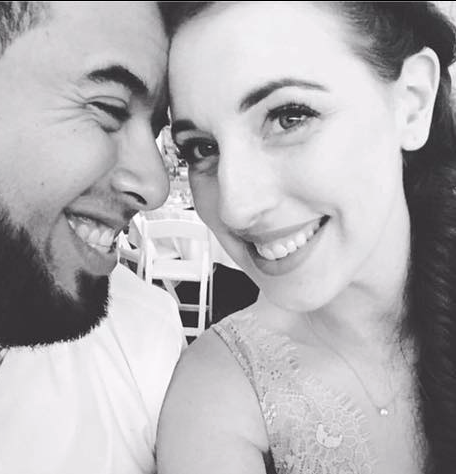 Loved your video Ashlea. Thanks for taking the time to make that for us. 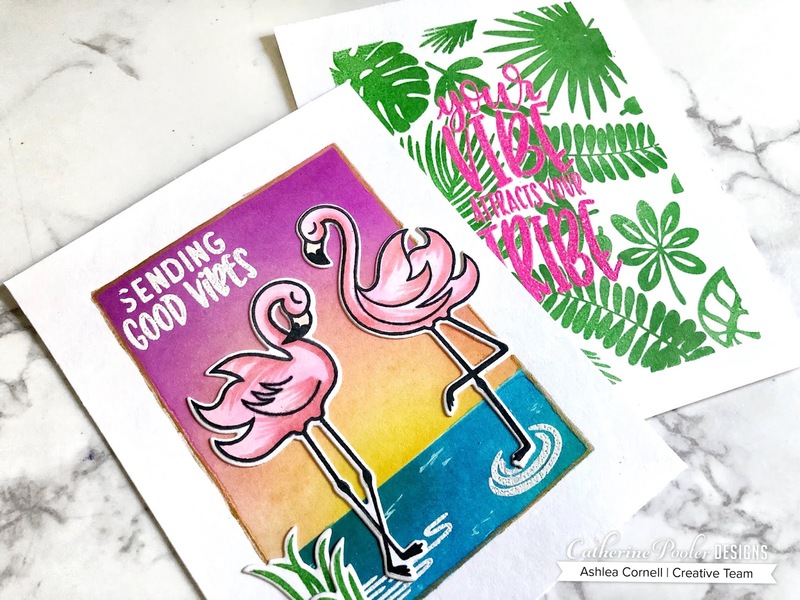 I really love seeing how to make that background and how added the colors and finished the card with the flamingos...beautiful card. Your flamingo card is so darling and I just adore your other cards as well!! Great card samples. I think I like the simplicity yet richness of the metallic card stock of the Cabana Tile dies - making your full card front pattern. It's a great card. The Cabana tiles are a favorite of mine, but I’m going gaga over the entire collection. Loved the tutorial and your cards are stunning. gold hexagon card takes it! The flamingo card is darling and I liked how you used tiles to create a background as is were a background die. Gorgeous cards! I love the hot pink sentiment over the bright green leaves. Love these, love you, love your face. That sums it up pretty well. These are wonderful! The geometric shapes card is stunning! I dig the "Here comes the sun" card. So fun with the geometric tiles! Wow! Fun cards! I'm blown away by the wide variety of styles that can be created with this SOA! Great cards. I am loving those hexagons. Each card is unique and amazing and I love them all. Enjoyed your video. Lovely cards, Ashlea! I love the gold hexagons ... very elegant. Fun cards. Can’t wait to get SOA. Great colors for your cards! I absolutely love the pink and green card. Such a great color combination. Wow! Such a great variety of card techniques! Thanks for sharing a video! Beautiful cards, just can't get enough by looking at the flamingos they are an awesome stamp set hope to get some day. Thank you for sharing your beautiful cards and for being apart of this amazing Blog Hop. Very beautiful cards. The stamps and dies in this release are awesome! I love the pink flamingoes and the Cabana Tiles dies. I love the hot pink and green! What a fun pop of color! Such wonderful cards! Each is creative! Great cards. I really loved the video too. Love each one. Thanks for sharing. The geometric card is my favorite..great colors without upstanding the sentiment. Great shading and fun idea. WOW! In love with these. love the idea of making a background with the GEO dies. GENIUS! there is so much versatility in this collection. I love what you did with all the cards! I watched your video this morning. I love your designs! Love your tropical cards! And your fun geometric ones too! Love your cards! Awesome SOA! Great cards ! That last one I love! It looks totally amazing! Fantastic design! I always think Im not going to like the geometric stamps because I love florals so much, but Catherine's geometric stamps have become favorites of mine! I can see those hexagons will be too! Thanks for sharing your creativity and talent with us! I needed the inspiration! Amazing cards!! I love the variety of cards you have made!! Really liked the depth created on the flamingo card with the sunset in the background. I also liked the cabana tiles card with the metallic card stock. So chic! Those cabana tiles!!! Wow! Thanks for sharing! Great cards, and more ideas for me to try once I get my hands on the SOA collection! Great cards, thanks for the video showing how to do that border! 90's vibe... I remember my kids watching Saved by the Bell, I'll have to make them a card like yours!! Great ideas for all of us to try. Using the cabana tiles dies with metallic paper made a super looking card front. Great cards and I love the versatility! Great to see such different card ideas. Thanks for sharing with us!! Awesome and I can’t wait to see the rest of fabulous release! Wonderful cards! This collection is amazing! I'm in love with the watermark stamp!! These are fabulous. I couldn't pick a favorite. They are very different and unique . . . awesome work. Those cabana tiles have stolen my heart. These are so cool, Ashlea. Thanks for sharing.I love pink and I love flamingos! 'Nuff said! Love all your cards. Beautiful blending. This collection is awesome. Wow you have been busy Ashlea! Amazing cards and a great video. I will definitely be CASEing some of these! Great cards, and I especially like the one with the cabana tiles. Wow! I love your Flamingo card. Great backgrounds. Your flamingo card is gorgeous. Great job. What beautiful cards Ashlea! All are beautiful but the flamingo is my favorite. I love these. You ladies are knocking it out of the park with these stamps. You are hosting your own home run derby! Gorgeous cards. I love that metallic geometric one. I think my favorite stamp set from the collection is the Tropically Yours with the borders in a close second. I always say that I have enough stamps & dies and then I see the first product reveal and oh well. What's enough? great cards. Just love those cabana tiles and cant wait to try some of these ideas. I love the flamingos and the geometric card. Both so different, and so pretty. Lovely cards from this tropical release! I like the middle card the best, using the small stamps and all those colors. Thanks for sharing. Fantastic cards. I love the flamingos! What great cards! Fun, vibrant and graphic. Such great variety using the SOA kit. Great cards! Love how you used the tiles. Love the tile cards! Clever. Wow. So many different looks with this collection. Love the background designs with the tile dies. Very cool cards! 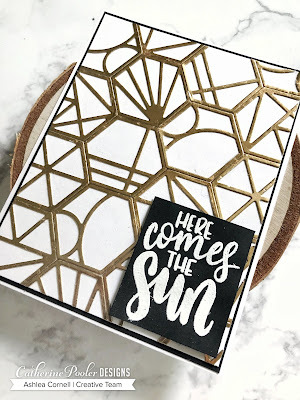 Love the versatility of the geometric stamps and dies to create so many different looks! Love your great cards, Ashlea. Everyone's cards are so unique! Great cards! I especially like the geometric one. ADORABLE cards! I especially LOVE your Flamingo's card! I just love all the layering and the BEAUTIFUL blended colors for behind the Flamingo's Just so FANTASTIC!! Love the cards. So many ways to use the smaller stamps from this kit. And the dies are as versatile as well! Wow! Awesome cards!!! Stunning colouring!!! Love all three of your cards and your video!!! Thank you for sharing!!! Your cards are so pretty! I love the flamingo scene! Great ideas. Love the flamingo card. The flamingos are cute. Liked the green and bright pink color combination on the second(?) card. I love how the second card really makes you focus on the sentiment. It's beautiful! I love the little embellishment stamps!! I can bet I’m going to use them often!! Love your cards. Interesting use of the tile dies. Such varied cards..... I like them all! The flamingos are just too cute. Wow this is an amazing collection! I'm stunned at the possibilities. What a nice collection of cards so inspiring. I really the second one with the geometric stamps radiating outward. These flamingos with the fluffed feathers are fab and your geometric background is so elegant. Thanks for sharing your creativity. Love your flamingos! your other cards are great, too! Great cards! I really like how you colored the flamingos! I love all of your cards, thanks for the inspiration!!! Love your cards. Like the wide white border. Really sets the main card off. I love your card with the Cabana tiles ! It’s so elegant !! Fun cards! Great scene card and I love your second card! 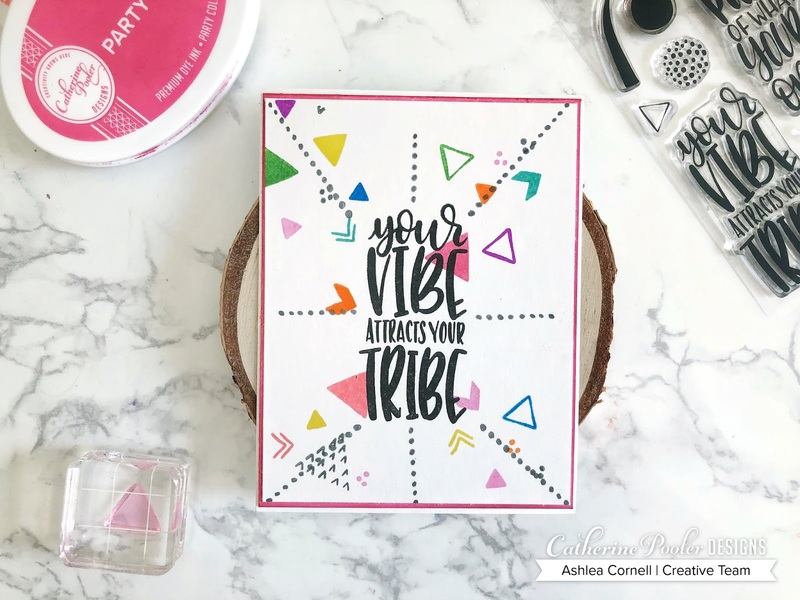 I love the way you combined those smaller geometric stamp images in such a creative and beautiful way! Thanks for the video showing your creations. Love the white border and the focus on the centre image. I so am enjoying seeing the different ways in using these fabulus stamps, dies & inks. Nice colors and fun cards! These are fabulous. The cabana tile card is amazing!! Great cards! I especially love the one with the cute little geometric shapes! Fabulous cards! Love the last card with the metallic cardstock! Wonderful cards. Love the geometric pattern you made with the small stamps. This is a great collection! Great cards. I like the flamingo scene. Great cards! Thanks so much for sharing your video. Loved seeing you make these cool cards! Very cool cards! Your last card is just gorgeous!